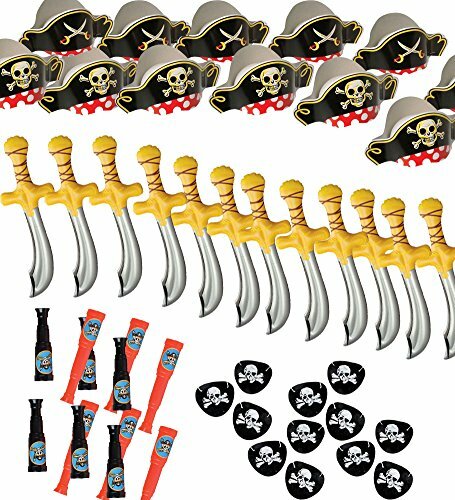 Super pirate party/ costume accessory, you receive 48 pieces! The Best Pirate party set. This set includes 12 cardboard pirate hats, 12 Telescopes, 12 Pirate Eye Patches, 12 Inflatable Swords.